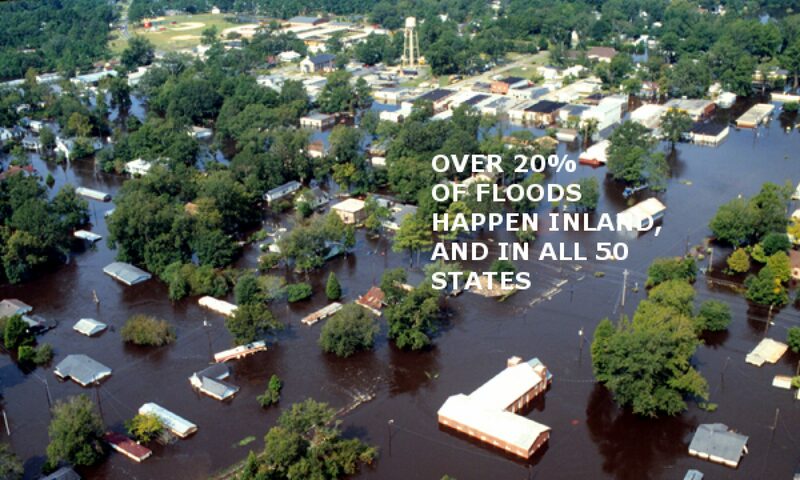 The National Flood Insurance Program, run by FEMA, comes up for renewal again in September. There have been several lapses in the program in the past few years because it gets used as a political football. Members of congress who are NOT in flood-prone states hold up their votes to force others to support their particular bills and projects. Congress is trying to start work early on the process, but there are several obstacles. The biggest obstacle is that the whole FEMA Flood Insurance program, both here in New York and around the country, has been losing money for years, where it is supposed to be self-supporting. Naturally that means higher rates but that is not a very popular idea with members of congress. Another area they have been looking at is whether catastrophic windstorm (hurricanes) should be added to the flood insurance program. Hurricanes are not so much of an issue in the Midwest where they are experiencing record flooding because of record snows this past winter. But here on Long Island and all along the east coast, hurricanes are a HUGE issue and something that needs to be addressed. So some politicians want to add wind coverage to the flood insurance policy. But others are against it for several reasons. First, it is available in the private market and our system of government is based on private business wherever possible. But also, if they have been losing money on the flood insurance, chances are they would just lose even more money if you added windstorm coverage. Today the GAO (General Accounting Office) issued a report that severely criticized the management of the National Flood Insurance Program, and says that if they don’t make significant changes, they will never become profitable. So again, the fear is that if they were to add windstorm coverage, the program would lose even more money. I just hope they figure it out quickly enough that the basic program is renewed in September. Summer is the season where everybody on Long Island has much better things to do than think about their insurance (as opposed to the rest of the year, when it’s everybody’s favorite pastime). But there is one item I wanted to post about since it may affect some of the readers. FEMA, the government agency that oversees the National Flood Insurance Program, has been in the process of re-mapping Nassau and Suffolk counties, which is done about every 10 years. This is the first one for our area since Katrina so expect some changes.The new maps take effect next summer. But in the meantime FEMA is hosting two meetings in Nassau County for anyone who might be interested in more information. The meetings will run from 4 to 8 p.m. and will be on September 9 at Valley Stream High School on Fletcher Blvd and September 10 at Long Beach Middle School on Lido Blvd.According to the Newsday article, 28,000 more buildings will be brought into flood hazard areas next year when the new maps take effect, and of those, the people who have mortgages insured by FNMA and other government backed plans will get a letter advising that they are now required to buy flood insurance where they did not have to before. In the meantime, people have an opportunity to be ‘grandfathered’ into the maps and plans that are in effect now. If you buy flood insurance before the change next summer, and your flood zone changes under the new maps to a higher rate, you will still be able to keep the previous zone. So if you think you might be on the border of a flood zone, and may be in a higher rate class next year, you might think of buying coverage now to lock in your current zone. Greetings all. have not posted in a while about the Long Island homeowners insurance market because it has been ‘more of the same’ for a while now. That’s not to say the situation has gotten better, but change is what makes news, and there have not been many changes making their way to the public for a while. It seems a little strange to be blogging about hurricane and flood catastrophes as I sit in my office and look out on to one of the most beautiful days we have had. Still, the 2008 hurricane season is underway, with Bertha chugging around the Atlantic as a reminder. Of course once again you can find experts who are saying that this season will be more active than normal, but those same experts have been saying that for several years and so far they have been wrong. I only wish I had a job like the weatherman, where I could be wrong half the time and still get paid. There has been one interesting development recently that could make it easier to get homeowners or similar insurance down near the water. The New York Property Insurance Underwriting Association has been permanently authorized by the state legislature. This may not seem like much to the average person, but for years now, this New York State-backed insurer of last resort has had to be re-authorized every year, and has been held hostage by various groups within the legislature. They would only authorize the renewal if downstate legislators, who had to make sure this coverage was available to their constituents, would in turn vote for other things that they did not necessarily want. Ain’t politics wonderful? In any event, they have now been made permanent. In addition, they have been authorized to offer broader coverages, and incentives to partner with regular insurance companies who would then be able to write supplemental coverage known as ‘wraparound’ so that the two policies together will provide something closer to a homeowners policy. Naturally it will take some time to put this in place, but kudos to the state legislature for getting this done. Meanwhile, on the flood insurance side, the re-mapping of Nassau and Suffolk Counties continues. Newsday had a big article this week on the changes that are being revealed now in Nassau. A lot of folks who were previously right on the edge of a ‘special flood hazard area’ as defined by FEMA and the National Flood Insurance Program may now find themselves drawn into the hazard area by the new maps, which use more accurate mapping techniques as well as information drawn from the government’s experiences with Katrina and other flooding situations. If you think you are close to a flood hazard area but not in one, you might want to think about buying flood insurance soon. If you are outside the zone, in what’s called a ‘preferred zone’ and buy coverage at those low rates, then it changes, you are grandfathered in to the low rates for as long as you keep your home. The difference can be thousands of dollars. And if it turns out that you were NOT one of those now lumped in to the higher hazard area, you can always stop carrying the flood coverage in a year or two when we know more about the new maps. As always, for more information you can contact us through our web site at www.NYInsuranceWithSerivice.com.